after having introduced myself I am here to share with you the construction of my first ship that still does not have a name. 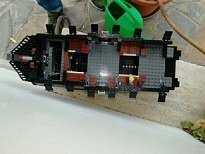 the base from which I started, as you can see from the hull, is the black pearl. 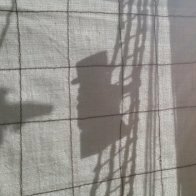 the idea is to inspire me to the black pearl, but without faithfully creating the ship of the film .... in fact, my ship will be different both in form and colors. For the project, being a little expert, I started with the techniques of the captain green hair, which I thank very much for this resource. 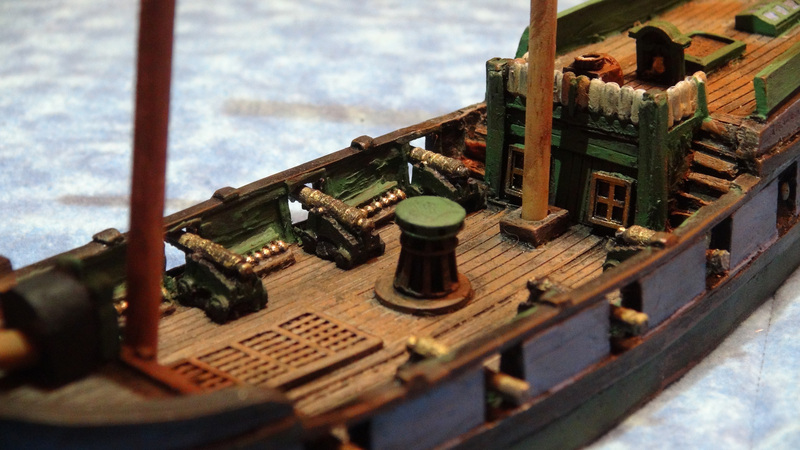 I do not pretend to create a historical ship, but a fantasy ship that is, however, realistic. The ship "should" be a cross between a small frigate and a brig. 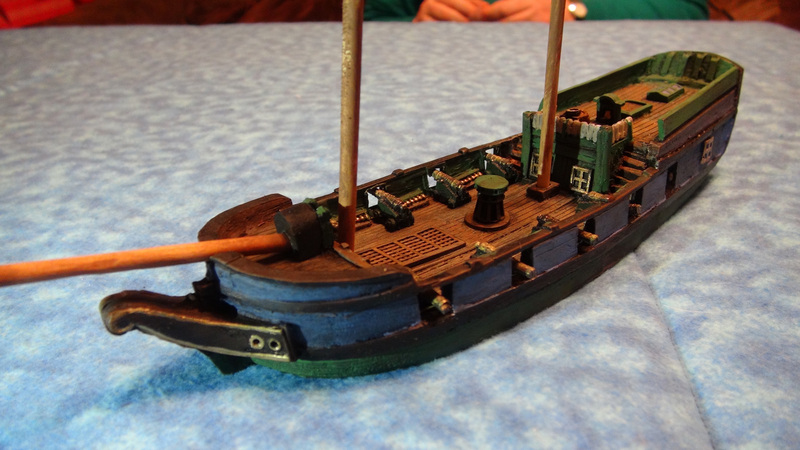 The hull includes the bow, 3 intermediate sections, while the stern will be made only with the pieces I have available. I share with you the first images of this work, where you can see that the sides have been created, I still have to design the stern and the bow. I await from you, experts, a positive or negative opinion of the work done up to now and possible suggestions. Looks like the ship is coming along nicely so far and I look forward to seeing more as you build. 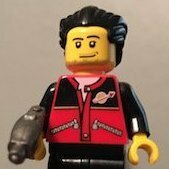 It is a bit hard to see the details, and I see you've just uploaded those images to Eurobricks directly, so I'll mention that the paperclip/upload option on Eurobricks is only for very small images to be used in your signature line here on the board. You only get 100K total, so even 1 regular image probably pushed you to the limit of available space. For sharing photos of MOCs, etc., you'll want to use a 3rd party service and I think most folks would recommend Flickr. Thanks for sharing - happy building! Yes, in fact the photos are too small, the next I will post with that method. Meanwhile, I wanted to ask a question about the construction. 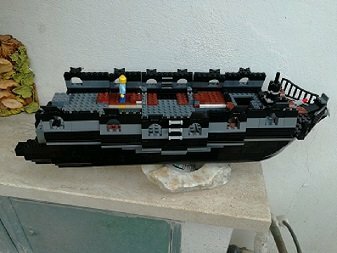 Hi guys, then I went ahead in the construction, I started designing the stern. 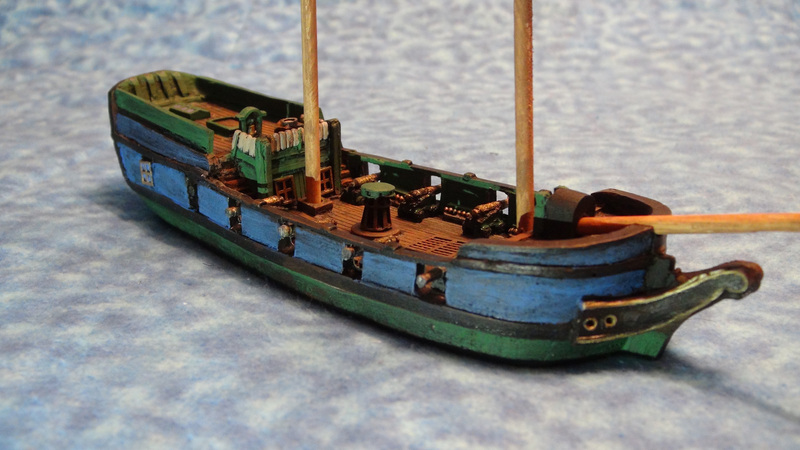 I'm going freehand, looking at the MOCs and photos of real ships. I would like an opinion on how the temporary version of the stern is coming from the side of the ship. The version of the stern is still temporary, especially in the colors of the connection between the stern and side, which must be adjusted to soften the gap between black and gray. Looks good so far - keep going! Thanks Captain ... I went a little further into the building .... But I have doubts ..
1) How can I join the normal sides to those that are positioned on the jumpers? 2) Is there a clean way to join the last sloping sides (thanks to the hinges) with the bow? I'll update you on the ship. At the moment I finished the sides, the stern and the bow. The sides are of two different colors .... I can't make up my mind :). Looks great! I really like forms and colours so far and am looking forward to getting more pics! That's a hard decision. The overall black scheme looks great, but could appear a bit 'heavy'. The grey stripe could work, but in this case, I would change it towards the bow. Astern and in the middle you have a fine curve in the line, which suddenly stops and goes straight around the bow. Have you considered another colour like dark green? Also, independent from the colour choice, I'd change the jumper plates, that extend the middle part of the hull beneath the gundeck into black, leaving only that continuous stripe of one plate height. At the lowest part you have a plate of lenght four, which is too short I think. Instead I would use four grey jumper plates above it. In general I would pay attention to the lower sections of the stripe in the middle always being longer than the outer ones. 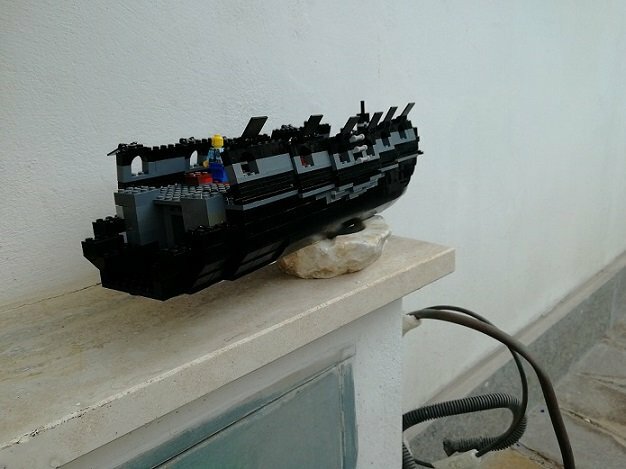 But for a first ship MOC, that is a really great result! Looking forward to see more of it.